Sacrifice means to give up something cherished in order to get something even more valuable in the future. This concept also applies to the constantly-evolving world of martial arts as the path to becoming a celebrated world champion is paved with much sacrifice. To set foot on the pinnacle of success, all competitors must go through blood, sweat and tears in training. Furthermore, martial artists have to be separated from their families for months to dedicate their lives to the craft that they seek to perfect. 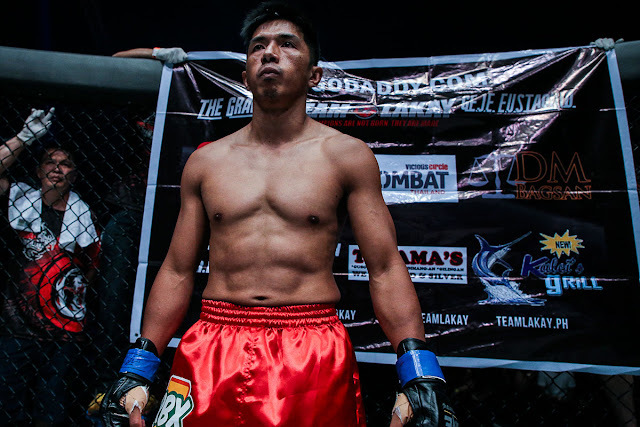 Filipino striking ace Geje “Gravity” Eustaquio had to undergo the same process as he had to give up numerous special occasions with his family and friends to fully focus on his training. “The life of a professional martial artist is difficult, but I understand that in order to be the best, we have to make certain sacrifices. Spending time away from friends and family to train isn’t easy,” he said. Eustaquio is slated to face former titleholder Kairat “The Kazakh” Akhmetov for the interim ONE Flyweight World Championship in the co-main event of ONE: GLOBAL SUPERHEROES, which takes place at the 20,000-seater SM Mall of Asia Arena in Manila, Philippines on 26 January. For his highly-anticipated second encounter against Akhmetov at ONE: GLOBAL SUPERHEROES, Eustaquio did not have the chance to fully savor Christmas and the rest of the Yuletide season. According to Eustaquio, the most painful sacrifice is not being able to celebrate the most wonderful time of the year with his beloved family, but he knows that there is a reward waiting for him. “It’s part of being a professional martial artist. A lot of sacrifices have been made. Training in December was one of them. I had to give up Christmas celebrations for this fight. I missed a lot of family activities such as birthdays and reunions,” he stated. “If I want to consider myself as a championship-quality athlete in this sport, I have to make that sacrifice. In the end, I will reap the fruits of my labor. Hard work cannot be denied forever,” Eustaquio added. On 26 January, the 28-year-old Baguio City native aims to turn his sacrifices into gold as he is looking to exact some revenge and claim a world title in front of his treasured countrymen. The headlining flyweight clash between Eustaquio and Akhmetov at ONE: GLOBAL SUPERHEROES serves as a rematch of their grueling collision four months earlier, where the Kazakh dynamo defeated the Filipino standout by way of razor-thin split decision. Eustaquio admitted that there were lapses on his part when he first fought Akhmetov in September of last year. “I lost focus of the game plan and allowed myself to operate at Akhmetov’s pace instead of dictating the action on the feet. I also could have had better takedown defense. I would have loved to have won, but it is what it is,” he explained. With five rounds to duel and an interim ONE Flyweight World Championship title on the line, Eustaquio vows to bring more intensity to the cage when he crosses paths with Akhmetov at ONE: GLOBAL SUPERHEROES. “Kairat is a tricky opponent. After three rounds with him, I have gotten to know him a little bit better. I am able to understand what makes him a great martial artist,” he mentioned. Eustaquio is known for his fluid Wushu striking game with the distinct ability to remain calm under duress. Moreover, Eustaquio has faced some of the most talented martial artists in the world, with notable triumphs over Kentaro Watanabe, Gianni Subba, Anatpong Bunrad and reigning ONE Strawweight World Champion Alex Silva. The 5-foot-5 Team Lakay veteran even previously challenged current ONE Flyweight World Champion Adriano “Mikinho” Moraes for the inaugural title in September 2014, losing via guillotine choke in the second round. Eustaquio receives the second world title opportunity of his professional career, and a victory over his Kazakhstani rival would line up a future showdown with Moraes for the undisputed title of best flyweight in the world. As he shares the ONE Championship cage with Akhmetov once more, Eustaquio bared that he working on correct the mistakes he committed in their initial meeting in order to pick up the victory. Eustaquio believes that a superb takedown defense should prove handy against a wrestler of Akhmetov’s caliber. Despite falling on the wrong side of a split decision to Akhmetov in September 2017, Eustaquio remains optimistic that he will walk out of the SM Mall of Asia Arena with his hand raised and the interim ONE Flyweight World Championship belt around his waist. “He he has a big heart. Kazakhstani martial artists have big hearts, and lots of pride. They do not go down easily, and are very tough. I am expecting another difficult bout. That is why I am preparing very well. A victory over Kairat would land me a rematch against Adriano. I believe I have what it takes to become the undisputed ONE Flyweight World Champion,” he ended.